Things really didn’t turn out the way that Prospect Park was hoping when they first decided to venture into business with ABC. When PP licensed All My Children and One Life to Live from ABC they really believed that by launching both shows online they were about to breathe some life back into a dying genre. They thought that they were making a fabulous deal with ABC, one that would thrill soap fans, put actors back to work and ultimately line everyones’ pockets. Instead the fans weren’t liking the reboot and ABC quickly started borrowing back its’ characters only to kill them off on General Hospital. Within just a few months of AMC and OLTL’s relaunch PP had filed a $95 million lawsuit against ABC and it was only downhill from there. Both shows ended up being canceled and PP was left with a massive amount of debt. The mounting bills are so big that they have actually filled for Chapter 11 because even their legal fees alone are totaling close to a cool million. We have heard rumblings that some of those connected to the rebooted shows were not paid and those claims are true. The court documents reveal that OLTL veteran actress Erica Slezak is still owed $205,000 and showrunner Barbara Hampton is owed $76,000. 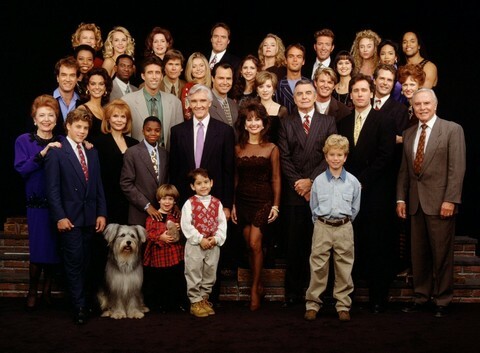 Not only was their not enough interest to keep these soaps alive on The Online Network but they ended up so far into bankruptcy that even the most valued workers still haven’t been paid nearly a year after heading to Connecticut to revive the shows. It’s not a matter of whether or not PP regrets delving into the soap biz but more like how much do they wish that they had a crystal ball a few years ago when this seemed like a beautiful partnership that would give everyone exactly what they wanted! Do you think that this whole mess has added to the negativity that surrounds soaps in general right now? Tell us your thoughts in the comments below!